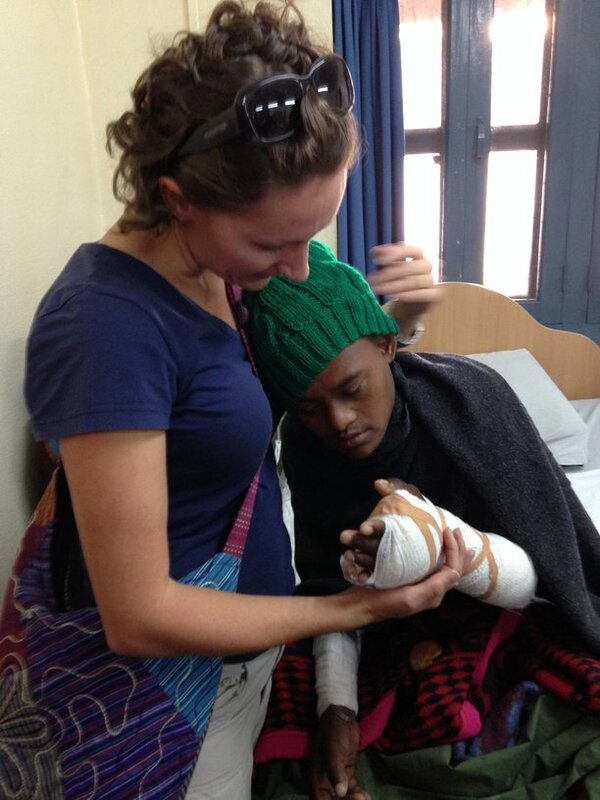 2014 has been eventful for Open Heart International’s Nepal Burns Team. 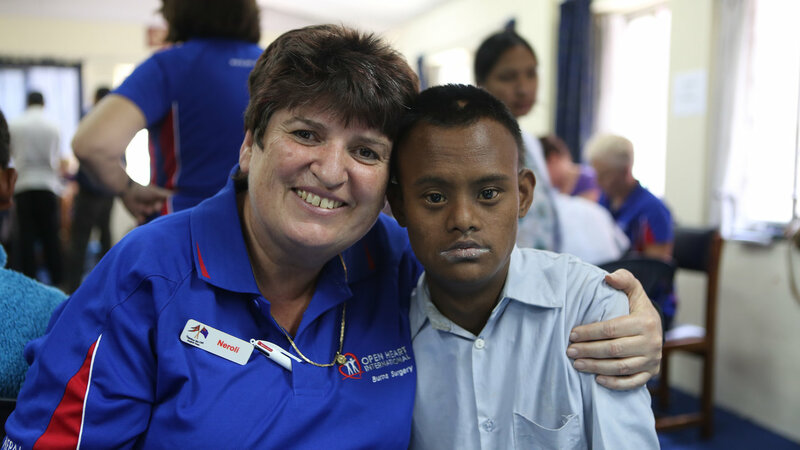 5,000 patients operated on by OHI is a remarkable achievement. 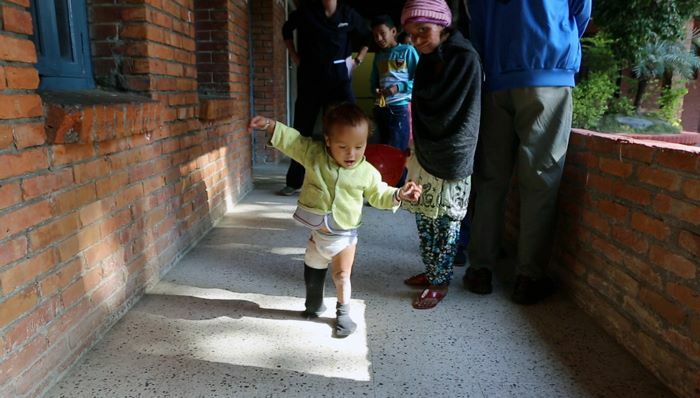 That the 5,000th patient went from never being able to walk prior to arriving at the Scheer, to now being able to walk unsupported in just a week is miraculous. “Mr 5,000” as he came to be nicknamed, Nishant Thapa, will be remembered by all with his squealing delight making his first unsupported stumbling walk between Jo Day and his mother. His mother was the first to shed a tear and not anyone else watching could do anything but the same. 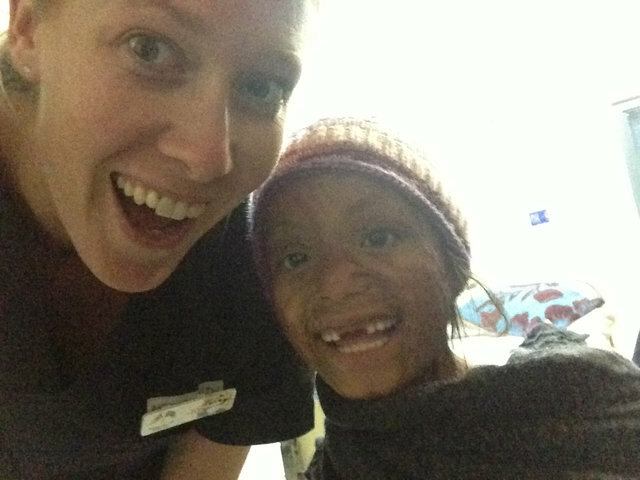 Looking at that photo on our last night in Banepa, all were inspired to return to Nepal. That moment alone was every reason we come here. Nepal is a country that is not rich in natural resources or an economic powerhouse but each member of the team has left richer. Richer in spirit, richer in heart and richness gained from an understanding of what is important in life. These people live very simple lives yet find time to laugh, smile and find joy almost every day. It is difficult not to feel a sense of guilt leaving these people to return to our warm homes, abundant clothes and clean air and waterways. It is hard to return home to people complaining about our health system when you’ve just lifted a 31kg mother onto the operating table to repair a face damaged by a flesh eating bacterial infection she was more susceptible to due to poor nutrition; then only to take a break to find her doting husband with a tiny daughter perched upon his shoulders looking at you with both fear and hope in his eyes. I imagined myself in his shoes at that moment, wondering what the future would hold for his once beautiful bride and their child whilst knowing just how poor this family was even amongst the other patients. It broke my heart. As I type this final blog entry for the trip I’m filled with emotions. Sadness: for farewelling truly beautiful people I now call friends and farewelling patients who’s future I may never know. Happiness: for the truly funny memories gained from working with people with joy in their hearts and who’ve loved doing what we do each day in Nepal. Guilt: for knowing we can’t “fix” them all and for only spending 2 weeks out of 52 doing what we do. Pride: for knowing that dozens of people received surgeries that can improve their life, some enormously so and for being part of that. Shame: for letting myself get pulled back into “first world problems” too easily. Hope: for knowing that we will return and give more Nepali’s a better future. Lastly, Enlightenment: because by seeing Bina Rai again this year and cry in front of myself and John because she felt bad for not being able to repay us in some way for what change we’ve made to her life. I know that giving is the greatest gift and gratefulness is it’s greatest reward in return. The huge and warm smiles from the family members every time I crossed their paths was a thank you of immeasurable value. Roughly 40 patients, over 500m of bandages, around 250 sutures, 30 K-wires, 10 square metres of Jelonet, approximately 1000L of oxygen and over 100 instrument trays later we have come to an end. It’s amazing to think of what we’ve achieved in such a short period of time and yet, it hardly seemed like work. The support given to us by the medical equipment companies, our employers and the family and friends donating to our fundraising pages has been of enormous value and we cannot do any of what we’ve done without all of them. An enormous thank you to all of those who have supported this cause. From me, thank you to a team of people that are just plain awesome, you are my friends, my advisors, and my inspiration. And to John Sanburg, who’s last of 20 years on team was this year; John you are a source of inspiration to so many. Late at night, on the “naughty” table, it was agreed that you are the man of which we’d love to become. A great example of a nurse, a father, a husband and a leader. Whilst you’re taking a break, know that you have taught us and inspired us and we will soldier on with what you have gifted us. Nepal – Dhanyabaad and Namaskaar, until 2015.